I had been watching the weather all week, looking for that almost perfect end of winter day, above freezing and not much wind, to get the fly rod out and the fly in the water. I had all my gear ready and waiting to live in the back seat of my truck for the beginning of my fishing season. 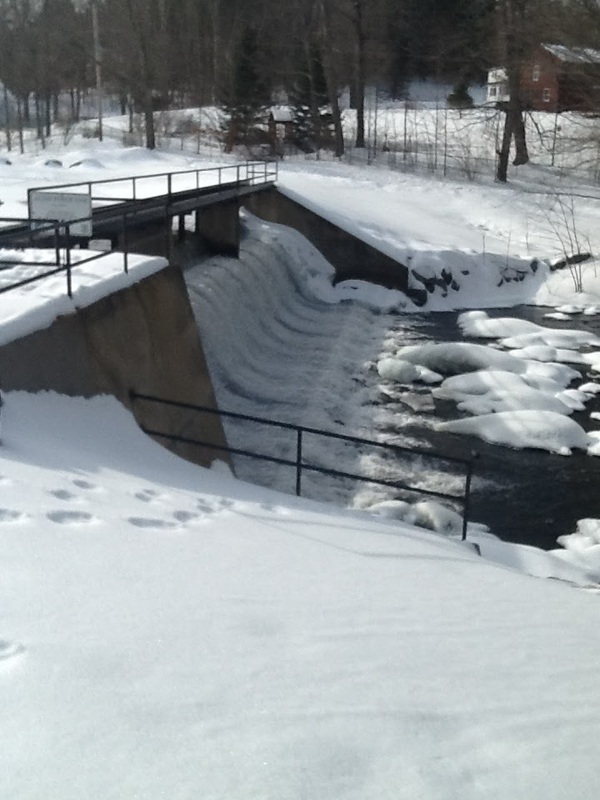 In southern New Hampshire there are some great waters open all year to fish; the Lamprey River, the Cocheco and the Isinglass are a few. I was only going to fish the morning, so I needed someplace quick and easy to get to. I also wanted a place where there was a shallow access, knowing there would be ice around the edges and since I was fishing alone, no one would be around to give me a hand if I took a dixie. I immediately thought of one particular place which met all my criteria, plus I could park close enough to get to my truck to get warmed up. The next morning I was up with the sun, put on my waders and boots, packed my gear in the truck and headed over to grab a coffee for the short ride. I allowed myself to take a couple of deep breaths to relax. As often as I have fished, I never lose the excitement of being out on the water. The truck thermometer read a brisk 30 degrees as I pulled up to the river, and was supposed to reach 38 later in the day. 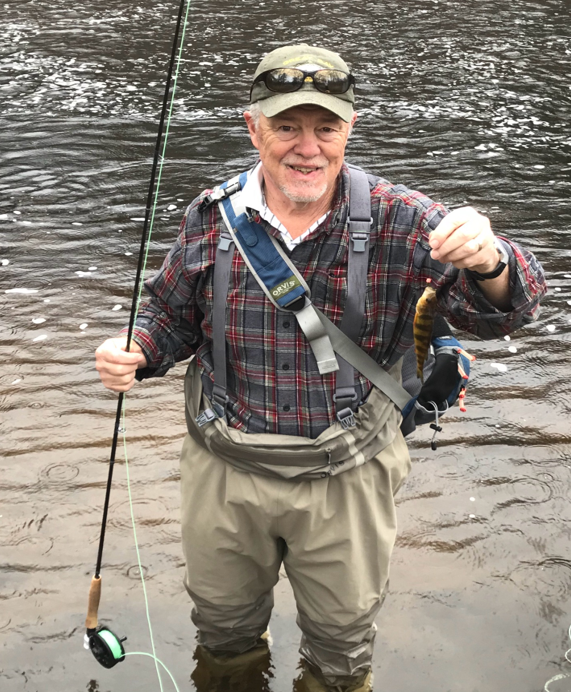 Since I knew there would not be much open water and that the fish would not be moving and probably hugging the bottom of the river, I had my fly rod all rigged up for nymphing. I had a Bead Head Prince nymph with a Hare’s Ear nymph dropper. I grabbed my rod and started walking toward the river. There were no footprints in the snow which was a good sign. The air was clear and crisp, the birds were starting to sing and the sound of the rushing water got louder with every step. When I reached the river, I paused to look it over and to survey the banks. I have often come upon some critter getting a drink or looking for something to eat early in the morning. Bear, coyotes, racoons, beaver and other small critters are becoming common even in Dover. Seeing that the coast was clear I found my easy access spot and waded into the water. I had added some weight to my line to get the flies to the bottom. After a few casts I found that I didn’t need the extra weight and removed it. I kept dredging the nymphs with no luck. I thought that as the sun got up the water might warm a little and the fish would become more active. I decided to go back to the truck to warm up and give the water a rest. After a few minutes and a couple of sips of lukewarm coffee, I headed back to the river. I continued to drift my nymphs down the river. I was taking my line out of the water to recast, and instead of taking it out gently, I yanked it and brought a trout to the surface and pulled the hook out of its mouth. I only had a few minutes until I needed to head home so I made a few more casts then headed back to the truck. On the way home I stopped to get some hot coffee to get warmed up. I was already planning my next day on the water and excited about the warmer weather and the time change that meant longer afternoons to fish and the anticipation of hopefully catching some.